4th grade’s first expedition of the year feels very timely. With everything happening with the recent presidential election, the marches around the country and other Civil Rights Issues, an expedition all about the Civil Rights Movement in the 1950’s and 60’s feels like a natural thing for students to be studying. In this expedition students were able to connect their learning to a time period that would otherwise seem intangible. To begin their expedition, 4th grade looked at pictures from the Civil Rights Movement. These were pictures of the March on Washington, student sit-ins, the Children’s March with Martin Luther King Jr, and other images. The students immediately began to feel a connection to the topic. Many commented early on, “why is it only black people getting hurt in these pictures?”. To answer their questions, students began reading articles about Civil Rights Leaders and events. They began to develop the sense of injustice that was present during this time period and immediately connected it to injustices they have seen, heard, or experienced in their own lives. 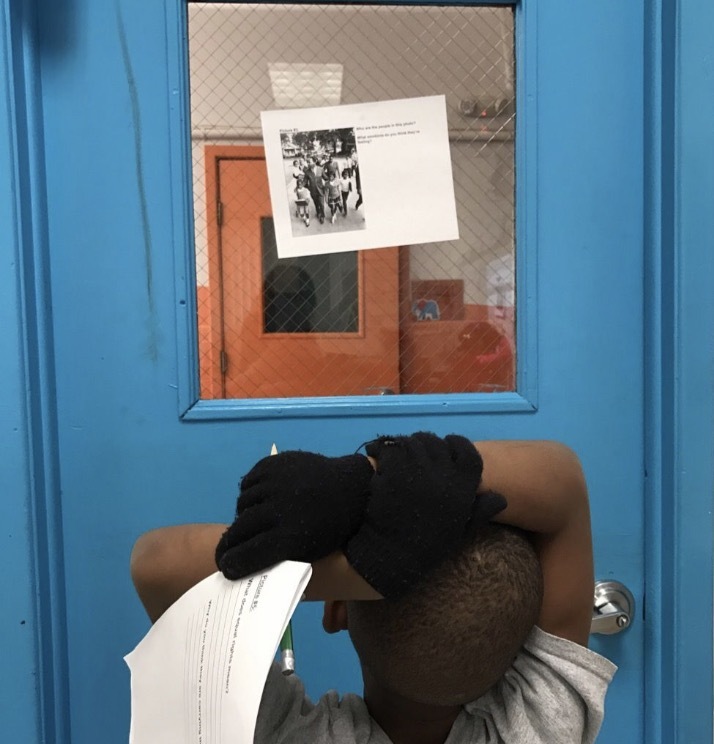 There was one guiding question that the students connected to the most – What should we do when rights are violated? Through discussions the students determined that marches were the best, most peaceful and proactive way to conduct change. It was so interesting to watch them make so many connections between the learning they were doing to their world.